Leah Symekher, Project Leader and Advisor to the Board, and Susannah Gray, Chapter President & Chair, spent two days in Sacramento, California, in August to meet with farmers, AgTech and rural infrastructure experts and the “Bridging California’s Rural/Urban Digital Divide with Mobile Broadband” project team members from the Geographical Information Center (GIC), California State University (CSU), Chico. The project, which measures actual broadband speeds in 150 locations in Yolo County, CA, and compares them to the speeds that ISPs state they are providing, has reached the midway point. Measurements have been taken and are now being analyzed and the team is preparing for the deep dive section of the project: interviewing farmers about why having fast, reliable Internet access is so important for their work. You can read the mid-year project report and take a look at the preliminary results here. Technology has already revolutionized the agricultural industry – from moisture sensors that send real-time data to farmers’ mobile devices with details on which sections of their land need irrigating to self driving tractors. But many farmers are unable to reap these benefits because rural connectivity is poor or non existent, even in some of the most technology-developed corners of the world. 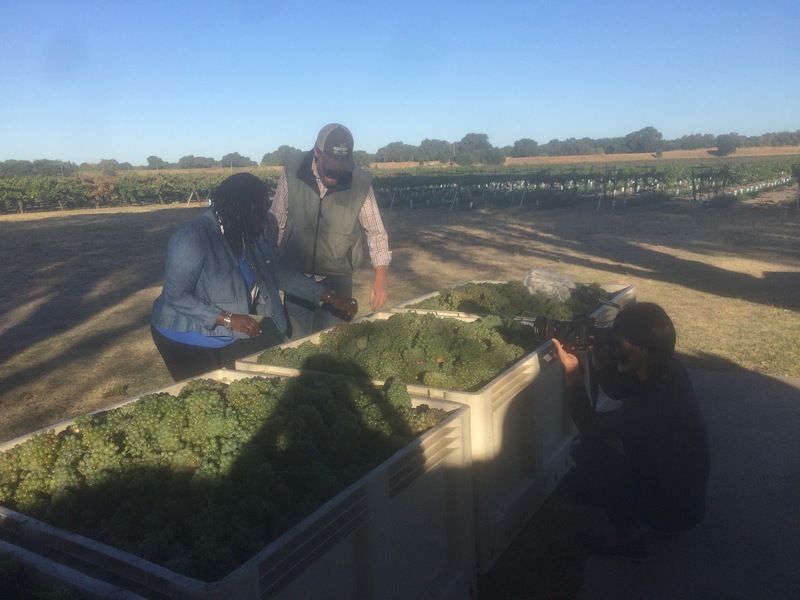 Yolo county is within an hour’s drive from dozens of Silicon Valley’s tech giants, yet many parts of the region, which produces food for the entire country, remain unconnected. Farming is no longer a popular profession. More and more farmers are retiring and fewer younger people are take their place. Those who do take up farming are doing far more work with less support and the only way for them to be successful is to rely on AgTech Solutions to ensure productivity. The SF-Bay Area ISOC chapter’s project has mapped out those areas where improvements are needed and this data will be used to inform policy on rural broadband and rural infrastructure investment. While the dataset is relatively small, the project has already garnered regional and national attention, with other rural communities offering to collect data on their local state of connectivity. July 2017: The SF-Bay Area Chapter attended and partnered with the annual Apps for Ag Hackathon competition in July. This event organized by University of California, Agricultural and Natural Resources (UCANR), bridges the rural/urban digital divide by connecting cutting edge Silicon Valley tech innovation and agricultural challenges to build innovative solutions to today’s farming issues. Read our report about the Hackathon here. Read our blog post “Why Farmers Are Using Wifi to Grow Your Grapes“, an interview with a California grape farmer about how technology has revolutionized his day-to-day farming activities. The project team took part in the NTIA Webinar on ‘How Broadband is Transforming Agriculture’ in July. Watch here. You can find out more about our project, our activities, read other blog posts and project reports here.